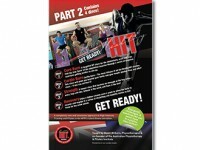 Welcome to the most innovative and challenging work out DVD to hit the market in years. Delivered by Physiotherapist and creator of Healthy HIT Pilates, Glenn Withers, Healthy HIT (HIT = High Intensity Training) Pilates will challenge you to work out at an extremely high level of cardiovascular fitness but in a safe and effective way. With step by step progressions and variations throughout the entire class Glenn and his team will take you on a journey from postural education to hard-hitting, sweat-producing bursts of 30 second High Intensity efforts. This program is an advanced cardiovascular exercise program and is NOT suitable for beginners or for anyone with any medical condition. Always consult your doctor before starting this or any new exercise programme. 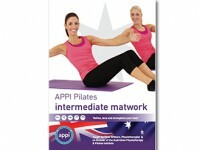 The APPI Intermediate Pilates Programme is designed to balance, align and strengthen the body to prevent injuries as well as restore the body to its absolute best after injury. 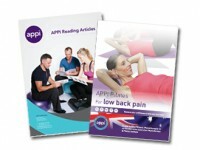 This pack includes the APPI recommended reading articles and APPI Pilates for Low Back Pain DVD. This pack is highly suggested for anyone enrolling onto Matwork Level 1 or Equipment Level 1.